Flannery’s Wood Panel J-Mold is a termination trim for millwork panels that terminate against a dissimilar wall or material. 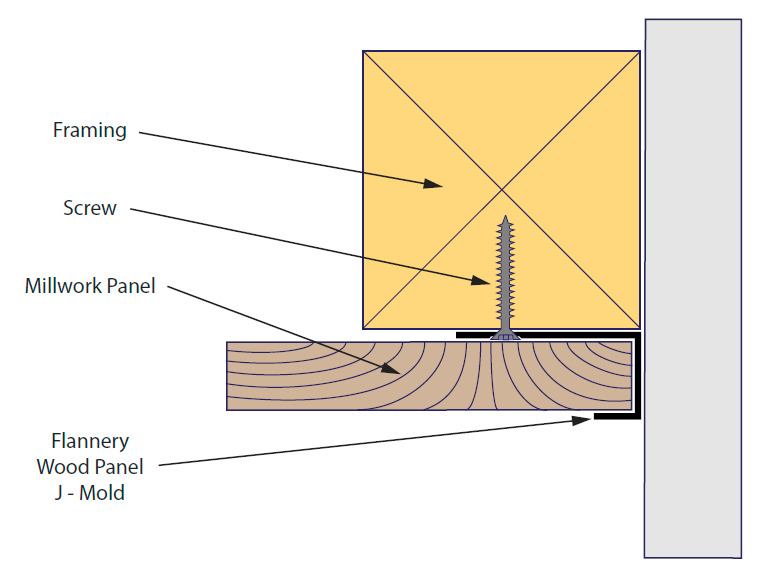 The Wood Panel J-Mold comes with a 3/8” face flange, which allows the installer to slide the wood paneling in behind the flange and cover the unfinished edge of the panel. 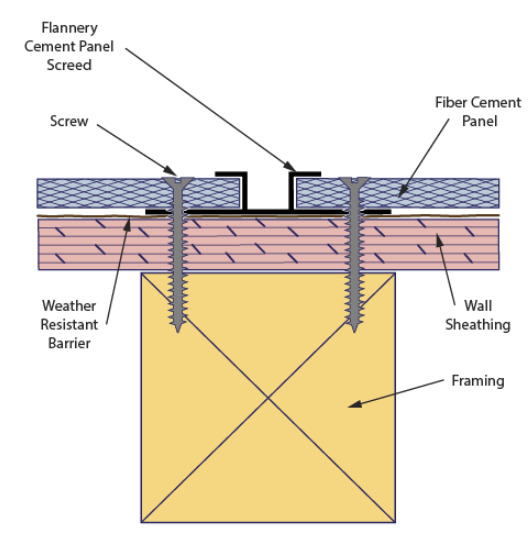 Flannery’s Wood Panel Trims are standard extruded aluminum alloy 6063 T5 and have a .050” nominal wall thickness. 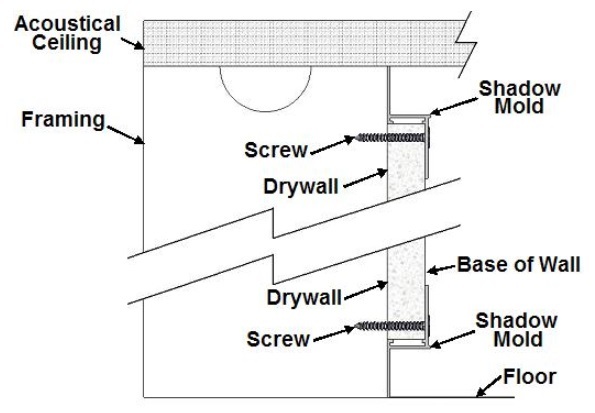 Aluminum panel trims come in 10? lengths and shall have a standard Clear Anodized Finish. Mill Finish (for field priming & painting), Chem-film finish or other factory finishes and custom paint orders are available. A folk rhyme often attributed to Benjamin Franklin describes the unintended outcome of simply omitting a horseshoe nail—namely, the loss of a kingdom. This proverb illustrates a basic truth—quick and poorly thought-out decisions have consequences beyond the initial myopic moment. A long, winding driveway in Bluffton, South Carolina, weaves through expansive maritime forest marshland full of live oaks and long-leaf pines before it opens onto the secluded Palmetto Bluff community. Engineered wood products are specified for a wide range of light-frame floor assemblies in light commercial and multi-family construction. I-joists, glued-laminated timber (glulam), rim board, laminated veneer lumber (LVL), laminated strand lumber (LSL), and oriented strand lumber (OSL) are popular due to their availability, precision, strength, and consistent quality. But I didn’t bid it that way! All too often, design/construction professionals end up in a rush to pump out bids that seem to be routine, everyday tasks. What happens when you are awarded a project, then come to find out you were low bid for all the wrong reasons? The way we build bathrooms is changing. Owners of homes, condominiums, hotels, and spas want more than just utility—they are seeking a retreat-like atmosphere with the latest design elements, while still requiring reliability and durability. At the same time, many want their bathrooms to be barrier-free. Thermoformed plastic ceiling panels and tiles have unique features that make them practical for many design and construction challenges. They can be installed beneath fire sprinklers and are not affected by moisture, support indoor air quality (IAQ), and offer noise reduction.